The Winklevoss Twins, Cameron and Tyler, are now investing $1 Million in fellow Harvard alumnus Divya Narendra’s social network for professional investors called SumZero. The twins have put $ 1 million into SumZero, a social network investment website founded by Narendra and Aalap Mahadevia in 2008. 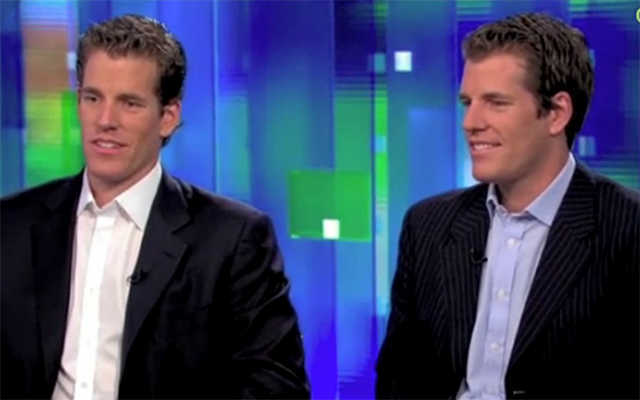 In February of this year the twins formed Winklevoss Capital where they can invest their personal wealth. Their first investment is in SumZero last June. The investment website allows and encourages investors to share and trade ideas and research when it comes to investing. Just like the first versions of Facebook, SumZero is keen on exclusivity to ensure ideas are always in the highest quality. The site only allows members from the “buy side” which according to SumZero is the group of investment professionals at hedge funds, mutual funds and private equity firms. Analysts on the “sell side” like Wall Street banks are not allowed. The four year old site has about 7,500 members to date and Mr. Narendra personally reviews each application and rejects up to 75% of applications. The site also requires members to regularly submit trading ideas to have access to those posted by others. Members who don’t submit an idea for six months will lose their access to site materials. They can have their access back once they submit their ideas. Members generally use the site for free, however SumZero sells limited access to outside investors for $129 per month for investment ideas chosen by Mr. Narendra after getting permission from their respective authors. We invite you to watch the interview with the Winkelvoss twins and Divya on WSJ Live. I loved the David Fincher movie ‘the Social Network‘, and its screenplay by the brilliant Aaron Sorkin (if you’ve never watched ‘the West Wing‘ or ‘Newsnight‘, I suggest you go home, take the rest of your week off, and rent the first season of both series!). Even though we all know the movie doesn’t accurately narrate the facebook story, I couldn’t help but feel for the hollywood versions of Divya, Cameron and Tyler… More seriously, it is great to see the three of them working together again on another exciting social network, just a more serious one. Of course, this partnership is a great communication ‘coup’ but I’d hope to see even more interest from the global investment community for -the already 4 years old- SumZero. Indeed, I like Divya’s approach with its online community: choosing quality over quantity, providing strict member screening, removing inactive members from the community, adopting a crowdsourcing approach… Are you aware of SumZero’s ‘Value Investing Challenge‘? Stay tuned on Visible Banking, I plan to cover it soon. So, what do you make of this announcement? Is it just a marketing coup? Sum Zero members: please share your experience networking and generating business via this online community. Divya: I am keen to publish a Q&A session with you about SZ and your crowdsourcing contest. Please DM me on twitter.